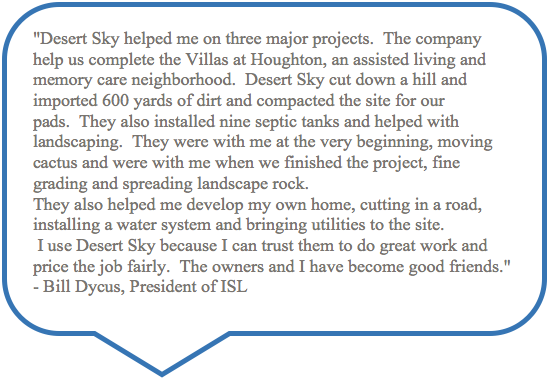 Desert Sky Excavating has worked with several organizations and private clients to achieve superior and exceptional results. 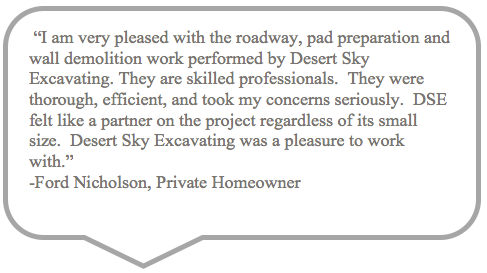 We make great efforts to exceed our client's expectations and deliver the best. 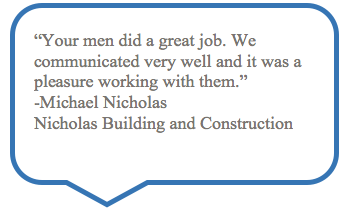 ​Our clients can confirm that!